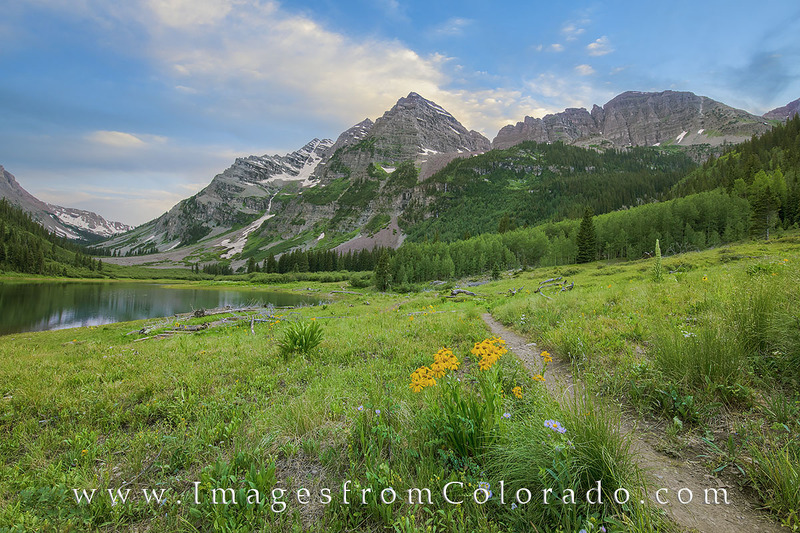 Along the trail leading to Crater Lake in the Maroon Bells Wilderness, golden wildflowers bloom under an evening sky. This trail starts at Maroon Lake and wanders a few miles to Crater Lake, which is perched under the magnificent Maroon Bells, two of Colorado 14,000' mountains residing the Elk Mountains. Photo © copyright by Rob Greebon.